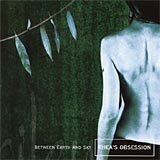 The brilliant classic release from Canada's Rhea's Obsession. A excellent cross of Darkwave, Gothic, and New Age styles. On Metropolis Records.